Beauty By Shannon: Current HG Base Routine! I'v been testing different foundations and primers and concealers for YEARS! And I think i'v found a routine that works super super well for me!! My skin tone: Light, NC23, with prominent yellow/warm undertones. My skin type: Oily, Acne prone, Sensitive. This is my base routine in order of use! As you'll notice most is high end, and that's because I can NOT find something light and yellow enough at the drug store, or stuff that works with my finicky skin! I do a primer "cocktail" So I'll use one of the Green primers patted onto my cheeks and fore head. 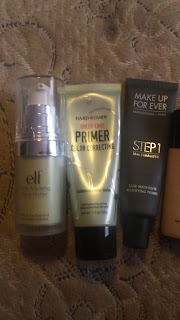 I can't pick which one I like better, out of the ELF tone correcting primer, or the Hard Candy Colour Correcting primer. They are both A+ in my opinion!! After patting the green primer into my skin, I'll squeeze out some Make Up For Ever Step 1 Mattifying primer and I'll lightly pat this into my fore head/nose/chin/inner cheeks to stop shine! I'll squeeze out a SMALL less than a dime sized dot of Make Up Forever Mat Velvet+ foundation (im in the shade #40) onto the back of my hand, then take a real techniques buffing brush and I'll dot this onto my skin then buff it in. This gives me just enough coverage to even out my skin and hide my red ness!! Then I'll take the Kat Von D Lock it Concealer Creme, and i'll swipe it across the apples of both cheeks then take what's left over on the brush and dot that under my eyes, and i'll blend that all out. I'm in the shade Light11 in the concealer, and it's THE PERFECT shade for me. 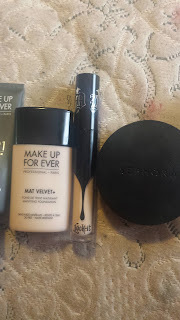 I can use this as foundation, just a dot or two around my face and buff out!! For Powder: I love Sephora Brand Matte Perfection Powder Foundation in the shade 18 Golden Linen. It's yellow toned so perfect for me! And it's MATTE. I personally love a MATTE/FLAT base. And then add highlight in strategic places. Because of my oily skin! But this powder is amazing and I will be repurchasing! 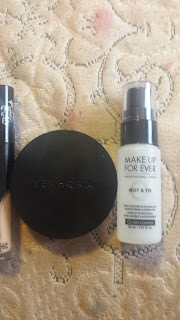 For Setting spray: I'v tried all of the Urban Decay setting sprays and I hated them all. I used the Avon Setting spray for YEARS. Until I met Mist and Fix. I like to PACK on the powder, then just spray my face to take away the powdery look, and to add a hint of natural dew back to my skin. And this does exactly that!! My foundation NEVER fades or breaks down. I do get oily, but I'd rather blot then have oils trapped in my pores all day! 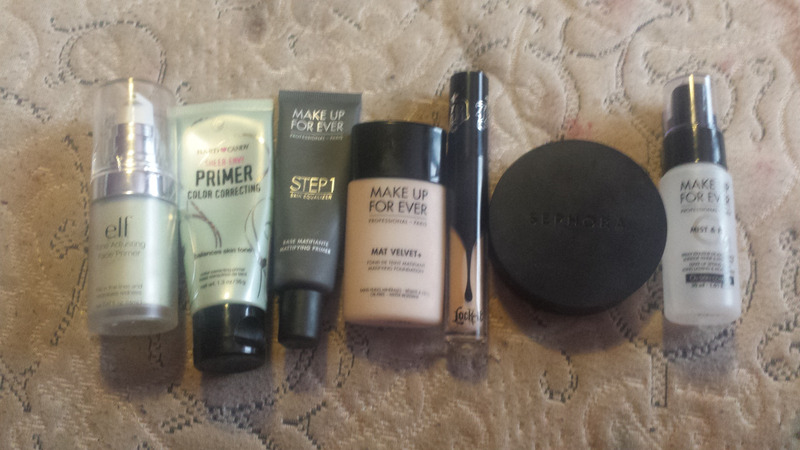 These are my current HG Base products. What are your current faves?